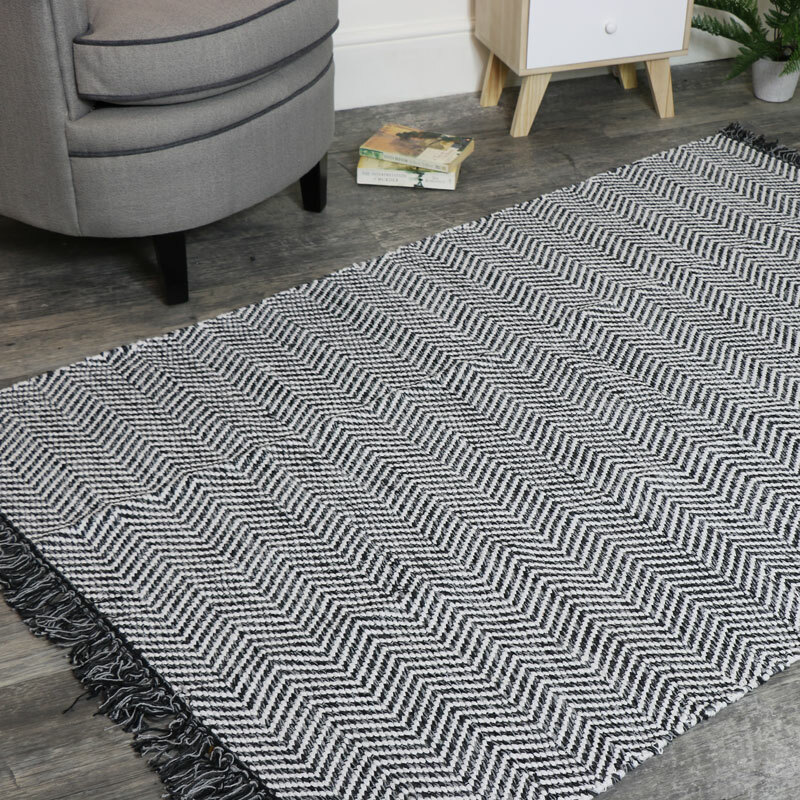 Large hand woven rug with classic Herringbone pattern with fringed detailing in black & white. Simple & stylish theme for a retro, modern or contemporary home decor. 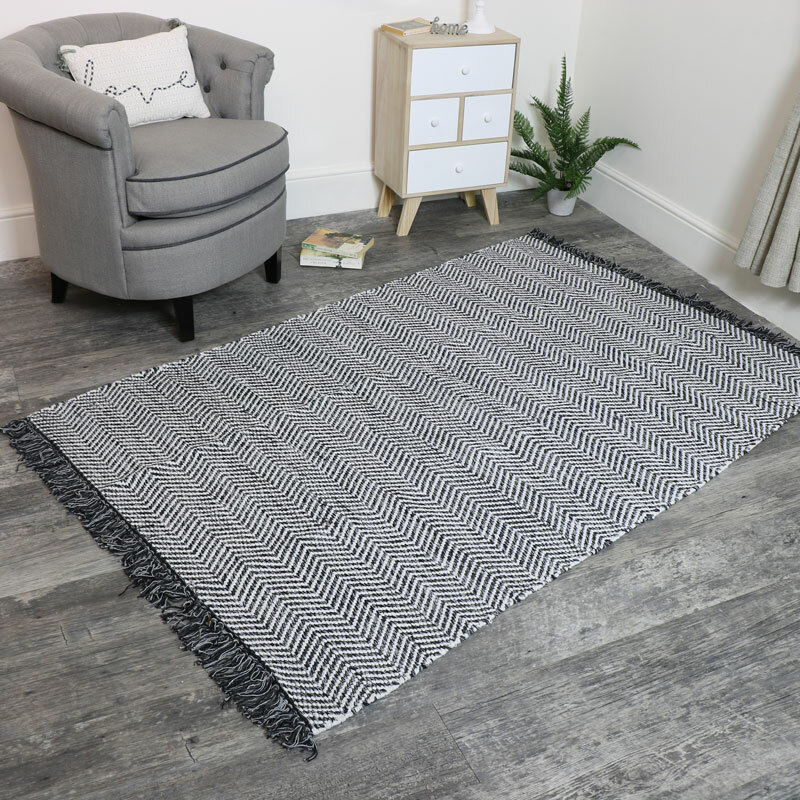 Minimalist feel with a monochrome look, this rug will be ideal for placing in the living room or hallway and can be placed in the bedroom. Also available in more sizes and with plenty of other rugs and throws to choose from. Soft underfoot and a great way to add that finishing touch to any room. The colours offer a neutral tone that will fit in with most colour schemes.